Wild Republic has been delighting consumers around the globe with an expansive collection of nature-related toys and gifts since 1979. 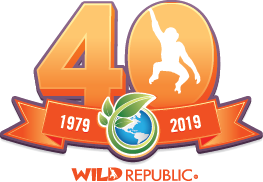 Headquartered in Twinsburg, Ohio, Wild Republic has offices throughout the world with international distribution serving zoos, museums, aquariums and retailers. KMIT Solutions, a subsidiary of Wild Republic / K&M International, helps Zoos, Aquariums, Museums, and Parks operate more efficiently. Our fully integrated business process software, KM-Ware, helps customers raise additional donations and improve the visitors’ experience.